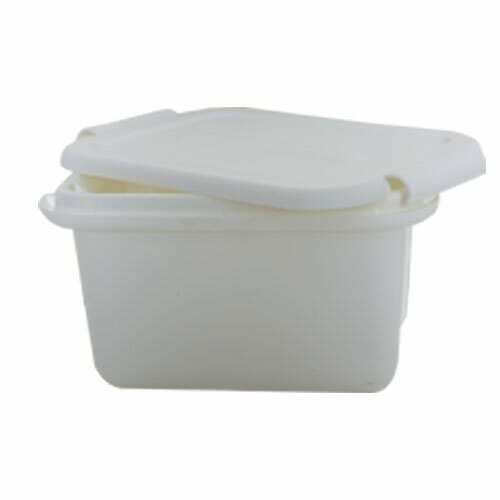 Whether you’re packing snacks for school, arranging supplies in your craft room, or organizing your tool shed, storage is a snap with our 7 1/2 x 5 1/2 x 4 1/2 White Plastic Storage Boxes with Snap Lock Lid. Featuring a small to medium size that’s ideal for snacks and lunches, you won’t have to worry about wasting paper or plastic with bags and sandwich wraps. You and your family will love having your favorite trail mix, cereal, or salads at work or school. And since each box comes with a snap lock lid, you won’t have to worry about spills. Great for organization, these boxes are an easy solution to disordered toys, crayons, crafting materials, and office supplies. And they’re especially helpful for holding those miscellaneous bolts and screws that clutter up every tool shed. Plus, their classic white coloring will match any home or office design. So whatever your storage needs, go with the box you can trust to keep your things secure and organized.